Sure, it may still be 112 degrees outside, but whether you like it or not, the holidays are right around the corner. Don't let the stress of the season zap the magic out of the most wonderful time of the year - let Cactus Flower handle your decor for you! 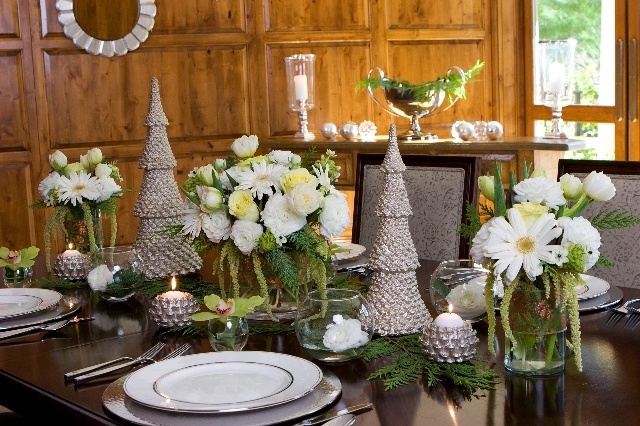 From corporate offices to neighborhood parties, Cactus Flower has the talent and product to evoke the Christmas spirit in any setting. If you have your own decor and just don't feel like climbing a ladder, we can come install your own decor for you. If you'd rather we brought our own beautiful product, we can install something completely custom. And yes, when it's all over we'll come and take it down for you. If you or your office is hosting a party, let Cactus Flower adorn your tables and buffet with seasonal flowers. 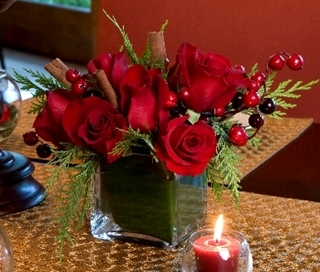 Fresh flowers are sometimes unexpected at a holiday party, but they show that you didn't miss a single detail! 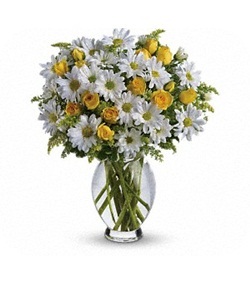 And while your visiting flowershop.com don't forget that Friendship Day is August 7th. Thank a special friend (or 2 or 3) for always being there for you with a flower arrangement or gift basket. 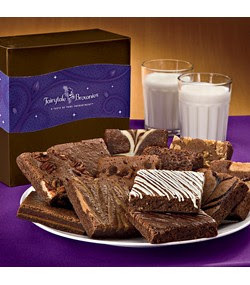 Send them the 'Amazing Daisy'or a dozen to-die-for Fairytale Brownies. August is here which means a new Fresh Ten deal at Cactus Flower. This month enjoy a wrap of Stargazer Lilies for just $10! Perfect as a housewarming or "just because" gift, this Fresh Ten deal makes a large impact for little cost. The stargazer lily is known for its striking beauty and heavenly scent and is named the "stargazer" because of the way the blooms point up. The name itself exemplifies high hopes, optimism and limitless possibilities. Pink stargazer lilies symbolize romance, wealth and prosperity. White symbolize purity and is often used to convey sympathy. 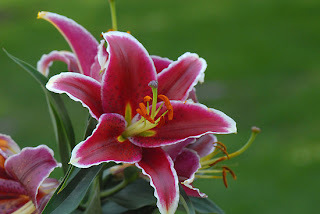 Beacause of the array of meanings, stargazer lilies are popular for many occasions. Stargazer lilies can last a long time if cut. Watch the video below to see how easy it is to arrange these beautiful flowers on your own. Reserve yours online or stop in any of our retail locations to pick up your wrap of stargazer lilies for $10.